Welcome to the gift ideas generator! Our mission is to relieve the stress of coming up with gift ideas. Stuck for present ideas for someone who has everything? or need last minute gift ideas? then you're in the right place. We have perfect birthday present ideas, anniversary present ideas, retirement gifts and more. The site does not have its own products to promote and is therefore free to suggest anything under the sun. If you're looking for birthday gift suggestions, then feel free to check out our birthday present ideas guide. Simply choose how much you are willing to spend on the gift, the gender & age of the person you are buying it for, and the person's character (optional). Then click 'Search'. 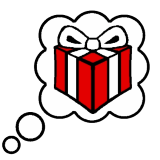 GiftGen will then display our suggested gift list, with links to webshops we suggest may stock them. 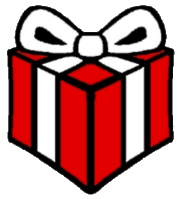 Alternatively, you may prefer to use our gift ideas directory instead.